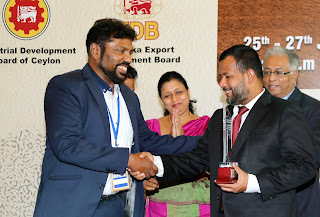 For the first time in the history of Sri Lanka’s US $550 Mn footwear and leather sector, the industry has come forward to felicitate the Cabinet Minister in charge of it for “invaluable support and services” that he rendered towards its success. Sri Lanka’s footwear and leather sector employs around 300,000 and according to SLFLPMA’s President Nimalasiri, its annual production is estimated at around US $ 550 Mn (Rs 100 Billion). It’s among the leading forex-saving industries in the country. 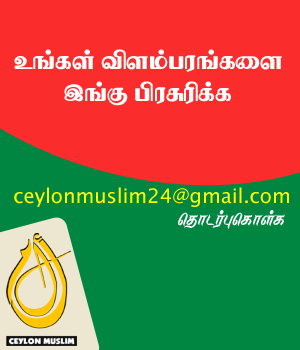 The sector involves all scales of Lankan operators. According to the Export Development Board (EDB), its exports have surged by 300 percent in the ten year period of 2008 to 2018. In 2018, its exports totalled US $ 119 Million. 48% of it were bought by Vietnam and 16% by the UK. Around US $ 900,000 of Lankan footwear were also bought by the US (2018). The Industry Ministry has been supporting the Footwear and Leather exhibition series for the last ten years, investing almost Rs 28 million aimed at image building to advance in its long term export efforts. The Footwear and Leather Fair series by the Sri Lanka Footwear and Leather Products Manufacturers Association (SLFLPMA), is organised in collaboration with the Centre for the Development of Leather Products and Footwear of the Industrial Development Board (IDB) of Ministry of Industry and Commerce with Sri Lanka Export Development Board (EDB), and several other industry organisations.